When you provide music, your piano lounge will be open for business! Hang up this personalized sign near the piano to create the happiest happy hour in your private bar or family room. 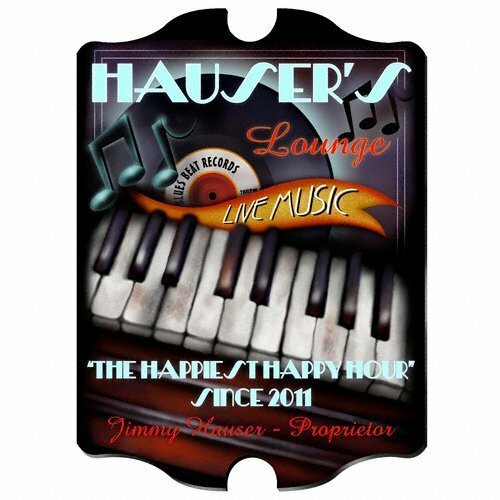 You may provide the first and last name of the proprietor of the piano lounge along with the year this bar was established and we will print a full-color design for a one-of-a-kind piece. Our Vintage Pub Signs are printed with the full color design directly onto the composite base for lasting quality. Signs measure about 15 1/2" x 10 3/4" x 1/4" thick and come ready to hang on the wall.